As of this writing, there are 291 customer comments and 40 answered questions for the ALPS Mountaineering Dining Table. I've read the customer feedback and then condensed the results into this review. 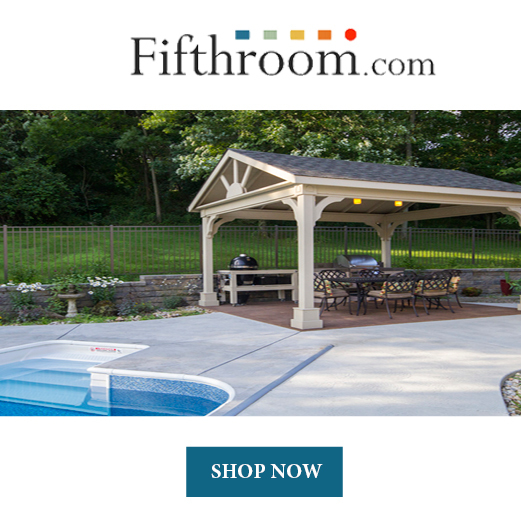 I hope this review helps you when you are shopping for the best outdoor table to add to your patio. 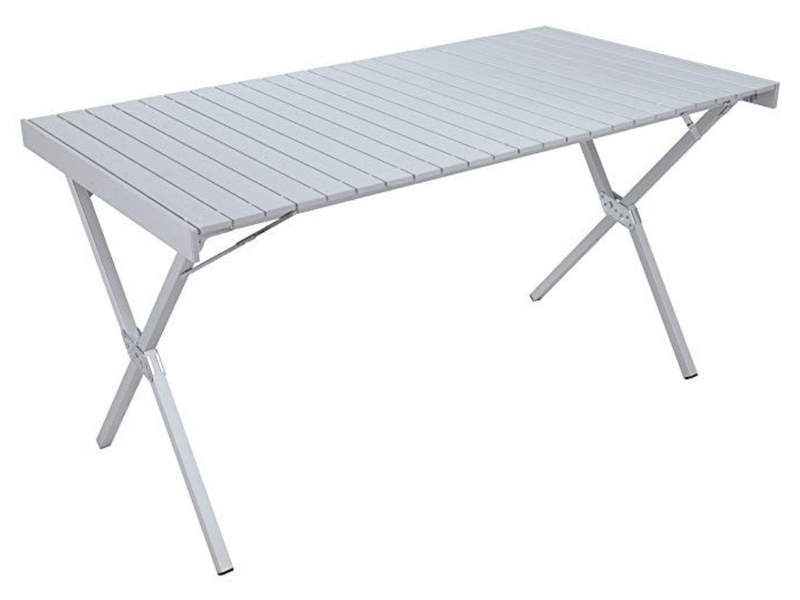 The ALPS Mountaineering Dining Table has an aluminum X-frame specifically designed to offer you lightweight and stability. There are no interfering side supports, so you can comfortably bring your chair up to the table without hitting your knees. The tabletop and frame collapse quickly and slide easily into a convenient shoulder carry bag for compact storage or transport. The dimensions are 28" W x 55" L x 28" H. It weighs 14 pounds. The carry bag dimension are 54" x 9" x 5". The ALPS Mountaineering Dining Table is very easy to assemble. The majority of comments left by customers were positive on the topic of assembly. Here is one of those comments, "The hardest part of assembling this table was tearing open the cardboard shipping box. Once inside, I found a sturdy durable, well made heavy duty carrying bag. The bag has an internal baffle to hold the two parts of the table separately. It has a strong webbed carry strap generous enough in length to allow it to be slung over one's shoulder. The bag secures with a spring slide lock. The base of the table folds into a 4x4 inch 3 ft long compact piece. It unfolds easily and locks in place with corner braces like those found on an everyday card table. It literally took me 30 seconds to unfold the base. The top folds into a slightly larger rectangle, maybe 5x5. Once unfolded and placed on top it is secured by four rubber buttons that slide into U shaped openings in brackets on the vertical sides of the base. The part took another 30 seconds. An instant table in under a minute." This is a stable table. Not all of the tables I reviewed scored very well in the stability category. Some tables were wobbly and had legs that were not the exact same height. This was a problem when you'd try to eat on the table or do anything that required a steady and stable table. However, the ALPS Mountaineering Dining Table had positive reviews for stability. One customer commented, "I read all of the reviews, and was somewhat worried about the stability of the table. After opening it up, I was pleasantly surprised! Now, any portable table will not have the stability of a wooden picnic table, but we've used this several times and find it incredible. We usually use it to put all the food on...like a buffet. We've used it in wind too, and it held up beautifully. If you fold the table up exactly as you took it out, it collapses easily and goes back easily into the bag. The key is to keep two slats flat when folding it. It goes up and down in a minute. All our friends were very impressed with it. 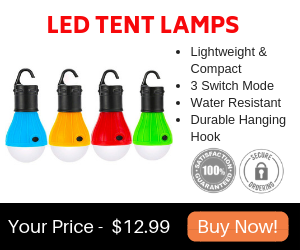 It is one of the best purchases I've made for camping and would recommend it in a minute!" If you are looking for a portable table to take places like camping, The ALPS Mountaineering Dining Table is a great choice. It is lightweight and folds up quickly and easily. It also will not take up a lot of room since it folds and fits into a carry bag. A customer shared, "It appears to exceed my expectations. It is amazingly lightweight and large. My 11-year-old son can pick up the frame with his pinkie. The tabletop attaches to the frame very easily and seems very sturdy. My plan was to only use this for camping; however, I think I'll be using this for large group gatherings at the house also! Yes, it's that nice looking. 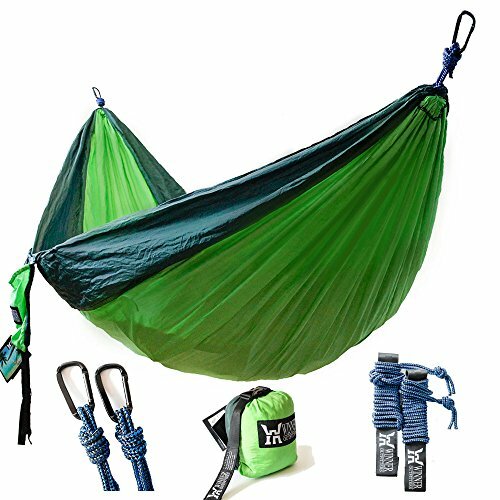 I am going camping this weekend and will try to leave and updated review after putting it into action." Customers liked the carry bag. It makes this table very easy to carry while you are also carrying other things. This is an especially nice table for events as a vendor. One customer commented, "I often do vendor shows and home parties for my Younique Cosmetics business. This table was a huge game changer for me! I was lugging a heavy 6ft table to/from my car. Not easy for a 5'4" woman, when the table is bigger than you 😉 This table was easy and highly intuitive to assemble and take down. It is lightweight, but quite sturdy, and held my entire display with zero problems. I was able to carry all of my bags, AND the table in one, single trip in and out, slinging the carry bag over my shoulder. I am so glad I purchased this item! I plan to use it at home, and on vacation as well!" Though the carry bag is a nice, not all of the comments about the bag were positive. Some people found it hard to stuff the table into the bag. A customer shared his frustration by saying, "One star off for the "stuff sack" bag. The table base is all angles and shapes, which catch on the bag as you insert it. The table top is a collection of "slats" that you are trying to hold together with two hands while you are trying to hold the bag.......oh, wait. Take a hand off to get the slats started in the bag, trying to hold the slats together, doesn't work. Start over. Put the slats back together.......get the bag open...try to move the stupid cord that closes the bag before it snags on something........carefully start getting it in....but the table base is now snagging on the table top! Just nothing worse than trying to close up your campsite and be defeated and delayed and sweating over a poorly designed STUFF SACK. I don't blame ALPS...this is one of those "we've always done it this way, and its cheap, who cares?" camping industry decision." One of the top selling points for this table is that the legs are out of the way. That means that you won't hit your knees on the table legs and you'll also have more foot room. A customer said, "Great value for the price. It arrived in good condition. Can be used indoors and outdoors. I appreciate that there is nothing in the way of my legs if I want to use the table to dine. That was my main reason for picking this model. I will update my review after I take this table to the beach!" The ALPS Mountaineering Dining Table scored well with customers on price versus the quality. Here is one of the comments on price, "Wow! I am super impressed. When we unpacked this and set it up we just looked at in amazement. this is truly a great table. Lightweight yet sturdy. Super easy set up. This is great quality that will last for a very long time. I was skeptical about spending this much on a table when I can run down to Walmart and pick up something much less expensive (and heavier and cheaply made). This was truly worth the price. can't wait to use it on camping trips." The ALPS Mountaineering Dining Table is a lightweight and stable table. It has an aluminum X-frame specifically with no interfering side supports. The way that it is designed means that you can comfortably bring your chair up to the table without hitting your knees. The tabletop and frame collapse and slide easily into a convenient shoulder carry bag for compact storage or transport. The table dimensions are 28" W x 55" L x 28" H. The ALPS Mountaineering Dining Table weighs just 14 pounds. It comes with a carry bag dimension with bag dimensions of 54" x 9" x 5". Here are some top questions that I found for people considering buying the ALPS Mountaineering Dining Table. Can I partially extend this outdoor table? No, the ALPS Mountaineering Dining Table cannot be partially extended. Underneath the slats are two long beams that are 55 inches long. The slats need to be fully stretched to the ends to lock in place. Is the height adjustable? Unfortunately, the height is not adjustable. Although it is not adjustable, the ALPS Mountaineering Dining Table is a good height. The legs are out of the way, which means you won't hit your knees. How does this collapse? The top rolls up and the collapse. Once everything is folded it fits into the carry bag for storage and transportation.